Welcome back to another week here on the blog! 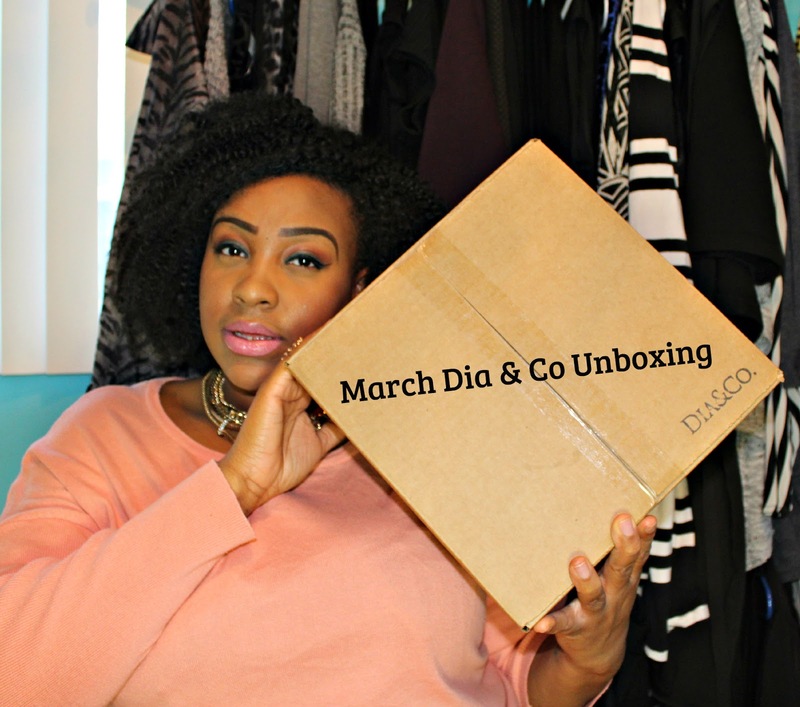 This week were talking all about Dia & Co ,and were going to kick off this week’s blogpost with my Dia and Co March unboxing! I could keep telling you how amazing Dia&Co is but honestly you have to see for yourself! Click here and here to check out my very first Dia & Co related videos. They really get into detail about how the company works, and gives you a demo of how to request items and send it back. And of course click here to visit the Dia&Co website to get further information. So lets get into the video! Did you all enjoy the video? I must admit I wasn’t too impressed with this month’s box. There was nothing that I was really swooning over, but hey sometimes these things happen! What did you ladies like and not like? Comment below. If you didn’t get a good look at the items don’t worry. Tomorrow there will a styling/ try on video, so there you will get a better look at all the items. Lets get into the breakdown of the box! The last two items which were the Hayden Nadine Tunic Top, and the Katilin Necklace I wasn’t able to find online for purchase. So that’s it for today’s blogpost ladies! Be sure to check out the Dia & Co website by clicking here! I swear if you join you wont regret it! I am not being sponsored or asked to do this video, so this is all my honest opinion and Dia & Co is truly bomb! Be sure to check back here tomorrow for the styling/ try on video for all of these pieces! Are you following me on social media? NoMinusPlus has some new social media! Follow @Nominusplus on IG and Twitter! My snapchat is @BrieLikeMe, and all my other social media is linked above! Ladies I hope you have enjoyed this video! So I love you lots like tator tots, and I will see you all tomorrow!